The expectations we have towards our houses tend to change over the years. It’s only natural, considering our lives are ever-changing. We change partners, jobs, have kids, and so our living space needs to adjust. A simple solution for this is moving house, but not only is that a hassle, we often just don’t want to abandon our homes. That’s why house extensions are becoming such a popular option nowadays – not only are they a cheaper alternative to a move, they involve less stress and you don’t have to abandon your home. Before you decide to expand your house, here’s a couple things you should know. There are three types of house extensions, each one involving different areas of the house. The rear extension is the most common one, involving the full width of the property. The house is simply extended into the garden, from garden wall to garden wall. Side return extensions involve the closet wind at the rear projection in Victorian and Edwardian homes, and the process involves incorporating the alleyway into the property, extending the wing to span the full length of the property. Wrapped extensions cover the side elevation and back of the property, and can be one or two storeys high. Certain extensions are allowed under permitted development, so before you start planning your extension, make sure it will fit in with the regulations. For extensions beyond that point, make sure you contact a professional to give you advice on what type of permission will be suitable for your needs. You will also require the services of a structural engineer to make sure your building adheres to strict Building Regulations. And make sure you inform your neighbours. They will be notified by the authorities anyway once you have the permission, but it is recommended to communicate that to them personally, in order to maintain a healthy relationship. Adding a new part of your house sounds easy on paper, but it really isn’t that simple when you want to make it look good and cohesive. Though their services don’t come free of charge, remember that you are investing in your living space, so a place you’ll be spending quite a lot of time in. While it may be tempting to just expand to your heart’s content, it may actually not be worth it to expand too much. You will put a lot of money into extensions, and once you do ultimately sell the house, not every inch of that extension will actually return you that money. Before making any decisions, be sure to ask your local estate agent for advice. Keep heat in with double glazed sash windows! 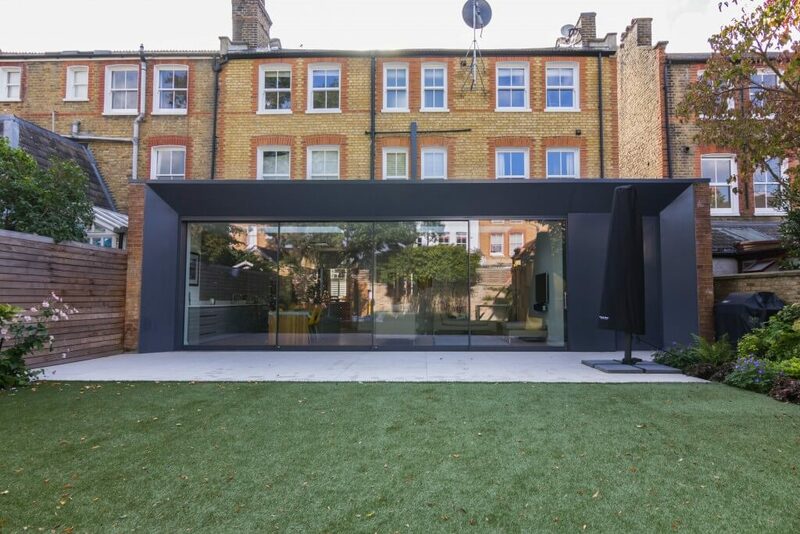 Why you should consider an under-garden basement extension? Professional construction teams, reliable services and the highest professionalism allow Diamond Constructions Ltd. to offer house extensions, loft conversions and other refurbishment and building services. Developed by Neadoo Digital Ltd.
Diamond Constructions is about far more than just refurbishment services. In order to bring you the best quality services for your home, we’ve expanded our range to encompass kitchen joinery. See for yourself just how much easier we can make decorating your home. Once there, you’ll find a host of interesting articles pertaining to kitchens, a portfolio of our kitchen projects, and many other useful tips to go along with our impeccable level of service translated into kitchen design.